The Philippines is an archipelago comprising of 7,107 islands in the Southeast Asian region. The Philippines is divided into three geographical divisions: Luzon, Visayas and Mindanao. The capital of the Philippines is Manila, which is located in Luzon. When you travel to the Philippines, we have listed a few attractions you should visit. 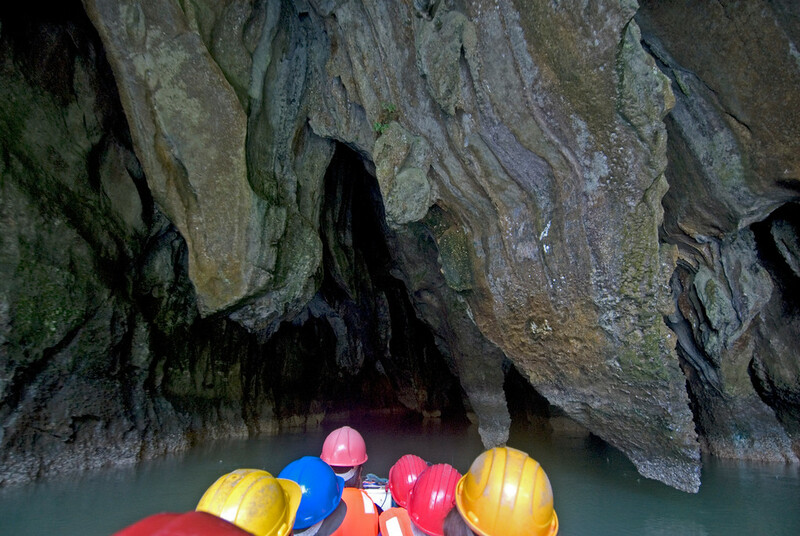 To get you started, you can check out the list of UNESCO World Heritage Sites in the Philippines. As of the recent census, the population in the Philippines is at approximately 100 million. Quezon City is the most densely populated city in the Philippines. 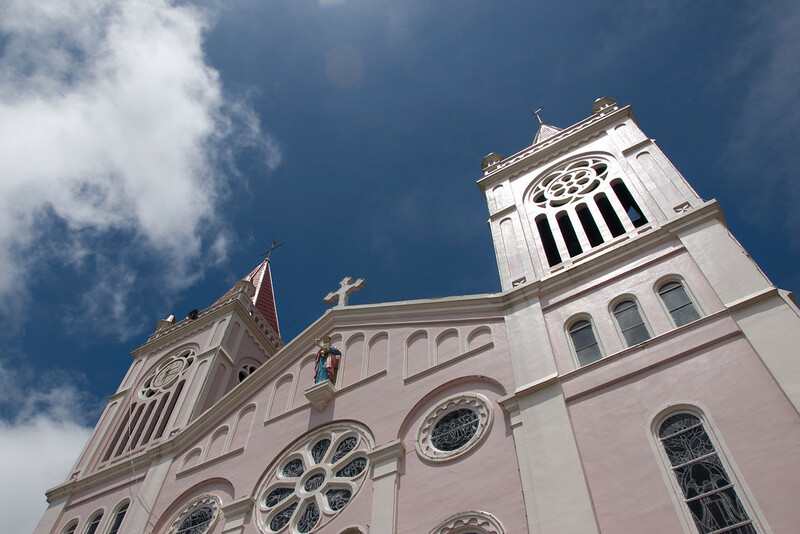 The history of the nation began during the Spanish colonization when Ferdinand Magellan landed on one of its islands in 1521. Since then, the Spaniards ruled the country for over 300 years. Until today, the Spanish influence is still a huge part of the Philippine culture which is reflected in the language, dishes, and other beliefs. In fact, the name “Philippines” was a homage to King Philip II of Spain. The geography of the Philippines is quite diverse with tropical rainforests, mountains, volcanoes and several inland bodies of water. It also features a diverse range of flora and fauna species. Meanwhile, its marine tropical climate is similar to that of other Pacific countries wherein hot and humid temperature pervades throughout most part of the year. There are three seasons in the Philippines: hot dry season from March to May (also summer), rainy season from June to November, and cool dry season from December to February. Currency: The official currency of the Philippines is the Philippine Peso. Official Language: There are two officially recognized languages in the Philippines: Filipino and English. Airport/s: Ninoy Aquino International Airport is the main hub for international flights that travel to the Philippines. Wi­Fi Availability: There are several free WiFi hotspots in the Philippines especially in resorts, hotels, and other major establishments. The Philippine government is also working on making the Philippines a WiFi country wherein select public places will offer free WiFi access before the end of 2015. Visa Required: Most foreign tourists wishing to travel to the Philippines must present a visa unless s/he is a citizen of an ASEAN (Association of South East Asian Nations) or from any of the predetermined visa­-free countries. There are 157 countries that are visa-exempt but their length of stay varies. For most citizens from the visa-­exempt countries, they can travel to the Philippines and stay without a visa for up to 30 days. But those who are traveling from Brazil and Israel can stay visa­-free for 59 days. British Nationals or Portuguese citizens can travel to the Philippines for 7 days while those from Hong Kong or Macau can stay for up to 14 days. Driving: In the Philippines, you will be driving on the right-hand side of the road. International Driver’s License Accepted? If you want to drive in the Philippines, you can use your foreign ­issued driver’s license for up to three months. Crime: Petty crimes are an issue in the Philippines, especially in crowded areas in the capital city. Tourists are therefore advised to be cautious about pickpockets or thieves, especially during night time. If possible, do not walk around unaccompanied during night time, especially if you are a tourist. Electrical Adapters: The Philippines have 220 volts and 60 Hertz electrical outlet. Thus, if you are from a country with a different voltage type, then use a transformer or adapter before plugging in your device. The cuisine of the Philippines is diverse as it has influences from various sources such as Malay, Chinese, Spanish, American and a few other Austronesian origins. Among the famous Philippine dishes with Spanish influence are paella and cocidos, meanwhile Italian influence is evident in the Filipinos’ love for spaghetti, lasagna and other pasta dishes. Among the other Filipino dishes with foreign influence are mechado, pancit (noodles), lumpia, and puchero. Rice is a food staple in the Philippines, just like most other Asian countries. 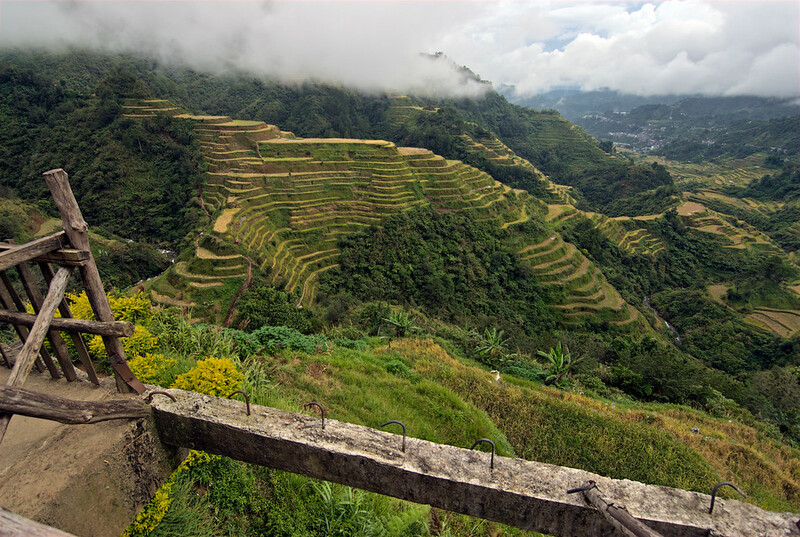 The Philippines is also one of the largest importers of rice in the world. The concept of merienda (or snacks) in the Philippines is something that was adapted from the Spanish colonizers. It is a light meal usually enjoyed in the afternoon, which is a counterpart of the afternoon tea in Britain. Fort Santiago – This is the oldest Spanish fortress still standing in the Philippines. 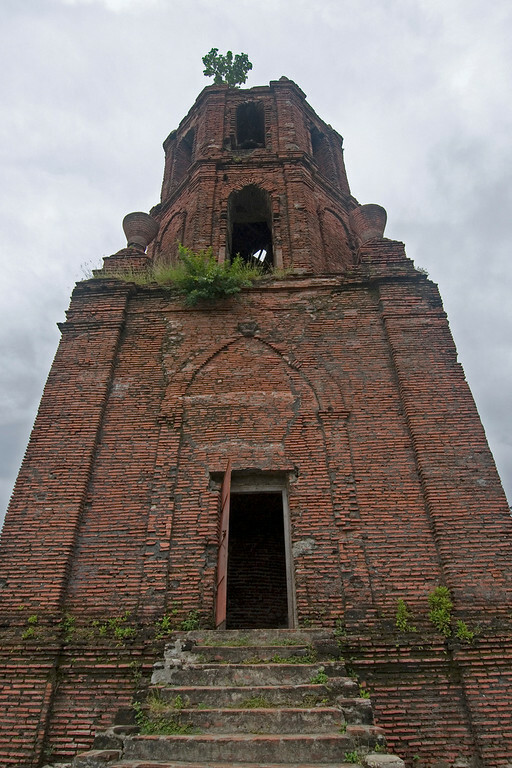 It was built around 1571 and is one of the most preserved Spanish era ruins in the country. You can also find Jose Rizal’s famous last footsteps preserved at the fort. Vigan – This is one of the best preserved colonial cities of the Philippines. Indeed, walking through the streets of Vigan will make you feel like you are being transported back to the days of the Spanish era. 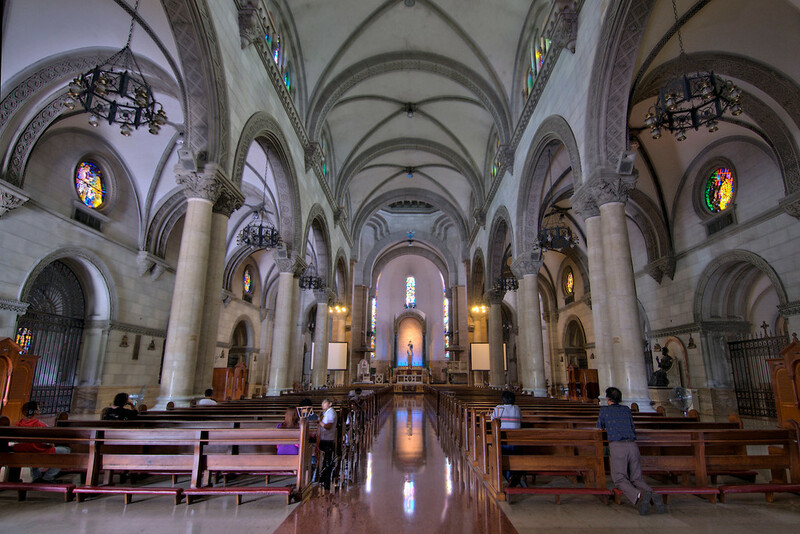 Intramuros – This walled city in Manila is the oldest district in the capital. There are kalesas or horse carriage tours that will take you around the large complex of fortifications. Malacanang Palace – This is the official residence of the President of the country. It is a Spanish style colonial house that was constructed in 1750. Corregidor – This is a small and rocky island near the entrance of Manila Bay. It used to serve as a headquarters for American and Filipino soldiers during World War II. You will find ruins of the war still left behind at Corregidor. Hi Gary. Just a quick update on visa requirements for British nationals to visit the Philippines. No visa is required for stays of up to 30 days (just a stamp in the passport on arrival). For longer stays, British nationals can either apply for a two-month visa in advance or have their stay extended whilst in the country by applying for an extension at the Bureau of Immigration. Allow about half a day to get that done.